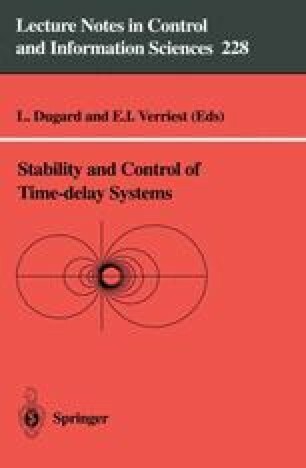 This chapter considers the problem of stabilizing linear and nonlinear continuous-time systems with state and measurement delay. For linear systems we address stabilization via fixed-order dynamic output feedback compensators and present sufficient conditions for stabilization involving a system of modified Riccati equations. For nonlinear systems we provide sufficient conditions for the design of static full-state feedback stabilizing controllers. The controllers obtained are delay-independent and hence apply to systems with infinite delay.